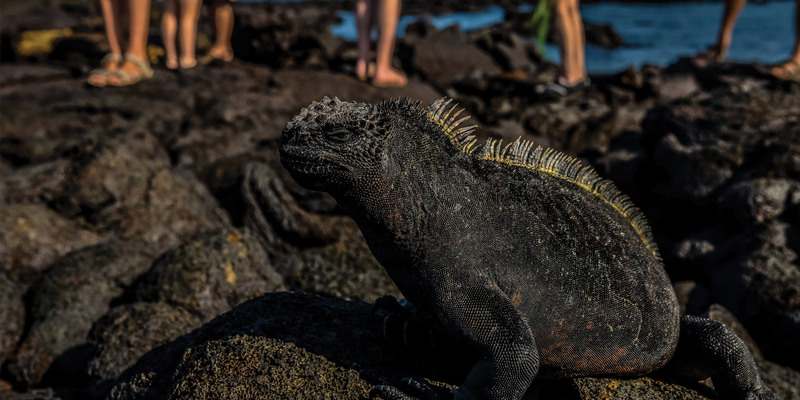 Traversing three islands in only five days, this tour offers a top Galapagos land-based experience that highlights the best of San Cristobal, Isabela, and Santa Cruz, each with its own distinct personality and wildlife. 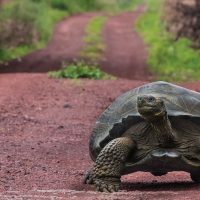 Experience the unique evolutionary paths of endemic species as you move between islands quickly and comfortably. 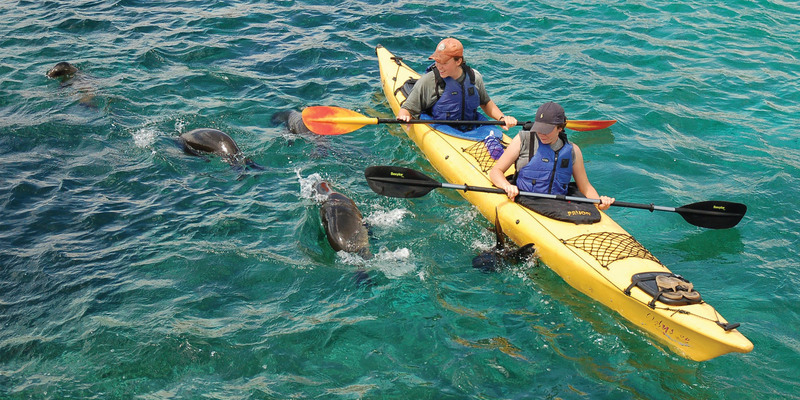 No other five-day tour includes this many locations and activities. 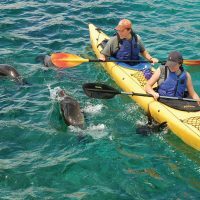 Hike through gorgeous environments, swim and relax on pristine tropical beaches, and snorkel with incredible sea life in turquoise waters. Accommodations and all meals as listed. 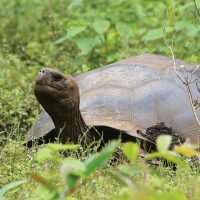 Bilingual Galapagos naturalist guide for excursions. 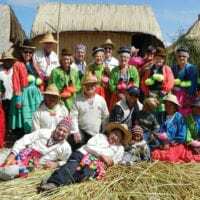 Day 1 Quito/San Cristobal Isl. 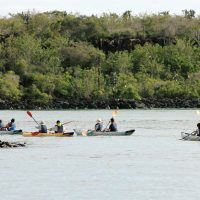 After a morning flight from the mainland to San Cristobal Island, we continue to our hotel for an energising lunch, introductions, and a short overview of our trip. 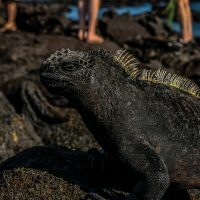 Our Galapagos adventure starts with a visit to the local Interpretation Centre where we learn about the unique wildlife, geology, natural history, and social dynamics of the Galapagos. 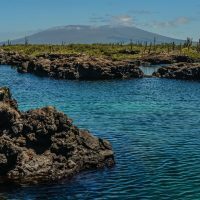 Now that we know a little more about the islands we make our way to our first stop, Frigate Hill, where we might spot many of the unique avian species of the Galapagos. 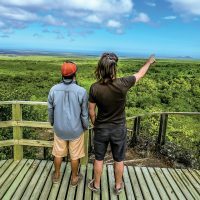 As we hike over natural lava rock trails our guides tell us all about the Galapagos cotton, palo santo, acacia, and cacti surrounding us, as well as blue-footed boobies, frigate birds, pelicans, herons, gulls, warblers, mockingbirds and finches that we spot in the vegetation and sea cliffs. 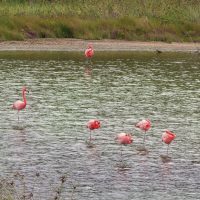 In addition to the diverse wildlife, this walking tour provides marvellous views of the rugged coastline and the town of Puerto Baquerizo Moreno below us. 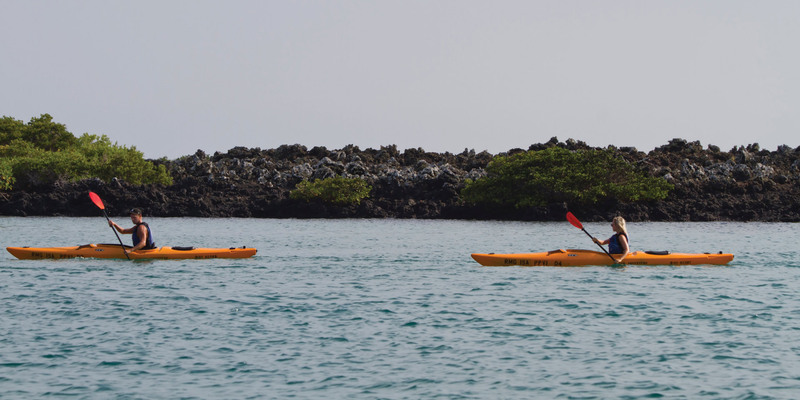 During the return trip we stop at beautiful Carola Beach for a dip, where we snorkel and swim with sea turtles and sea lions while enjoying a lovely sunset on the beach. 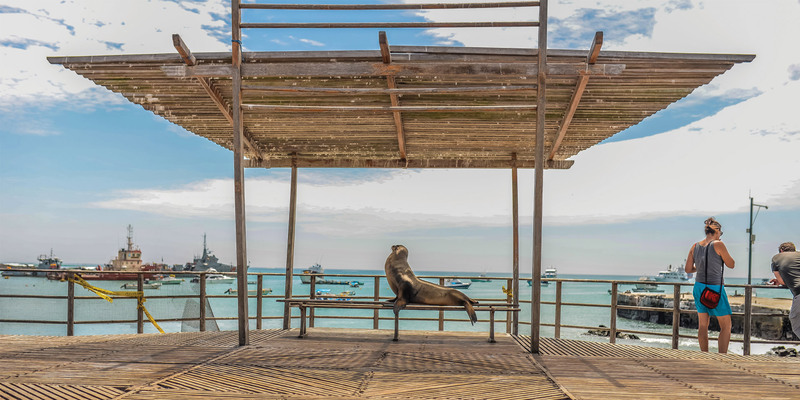 We return to the hotel for a gourmet seafood dinner after which you can set out to explore the friendly, laid-back town and visit the colony of endemic Galapagos sea lions next door. Day 2 San Cristobal Isl. Today we explore the northern coast. 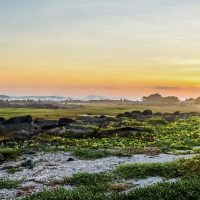 We either visit Leon Dormido (Kicker Rock) or Punta Pitt. 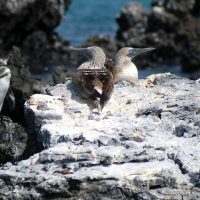 The visiting site depends on the week day and the Galapagos National Park regulations. 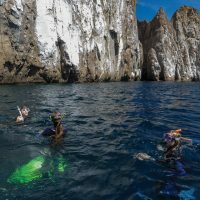 On our exploration trip we make sure to search the nearby coves and cliffs for sea turtles, sea lions, frigate birds, blue-footed boobies, and Nazca boobies. 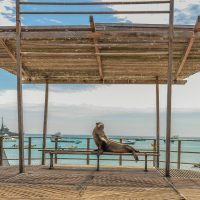 Here we have the chance to get up close and personal with sea lions in their favourite playground. 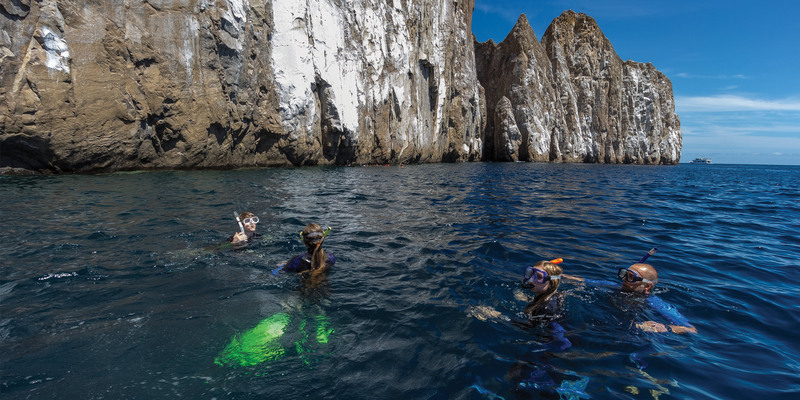 As we snorkel, we might see eagle rays, golden rays, Galapagos sharks, starfish, clams, and thousands of tropical fish. If we’re lucky, we may even come across hammerhead sharks. As the sun sets on our day under the waves, we return to the hotel to for a relaxed evening. Day 3 San Cristobal Isl./Isabela Isl. 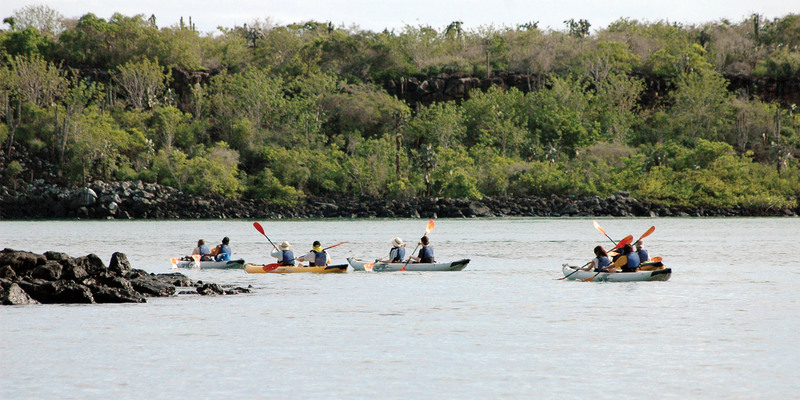 Our journey continues to Isabela, the largest island in the Galapagos. 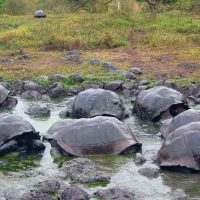 It´s constantly changing and evolving due to the six shield volcanoes, rendering it one of the most volcanically active spots on the planet. After a short small aircraft flight we settle into our hotel. 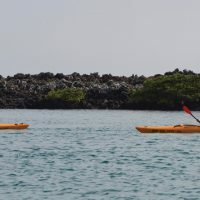 We then set out on a one-of-a-kind hike that will take us through an incredible variety of coastal ecosystems, along the way we spot giant tortoises, flamingos, and other wildlife as we pass through white sand beaches, the alluring poison apple forest, a gaping lava tube, dark mangroves and brackish lagoons. 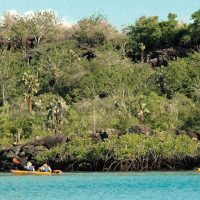 After a nourishing lunch we set out to explore Tintoreras, a group of small islets filled with hidden coves and isolated beaches. 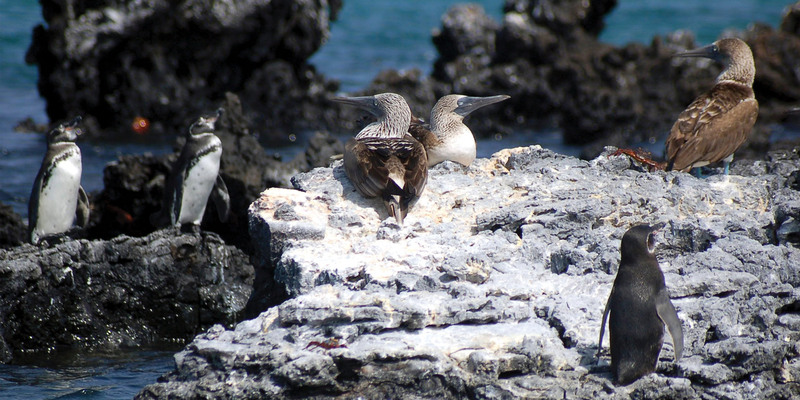 Here we find the endemic Galapagos penguin, as well as reef sharks, sea turtles and sea lions. At the end of the day, we retire to our hotel. We finish the evening with a delicious dinner and an optional stroll down the expansive beach and the sand streets of idyllic Puerto Villamil. 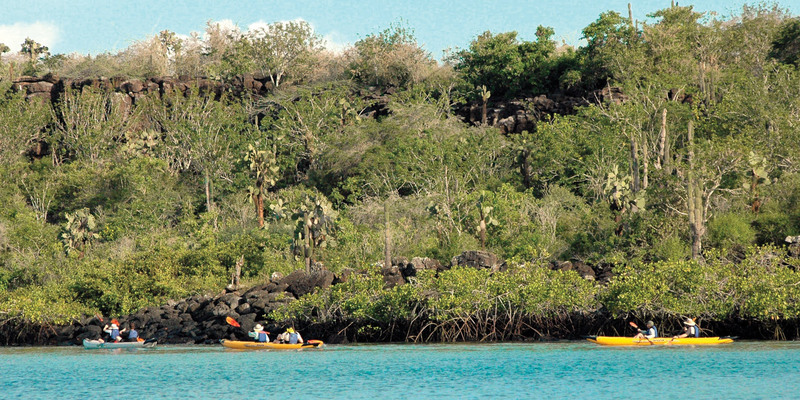 Early in the morning, we board a speed boat or internal flight to Santa Cruz Island. Along the way we keep an eye out for whales and dolphins in the ocean around us. 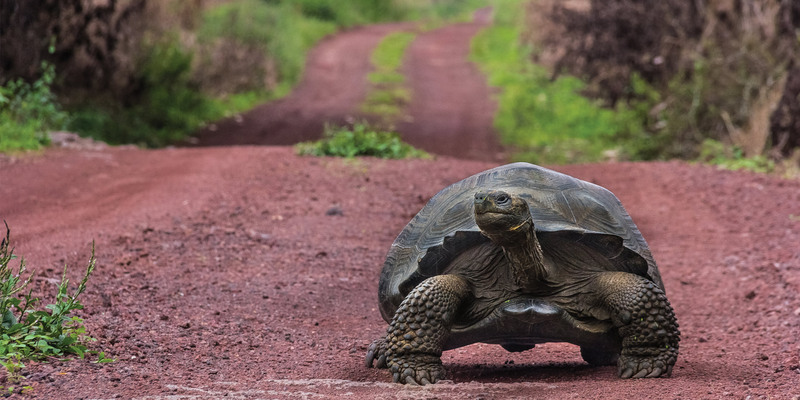 After checking in we head to El Chato nature reserve in the Santa Cruz highlands, home to the Galapagos giant tortoise. 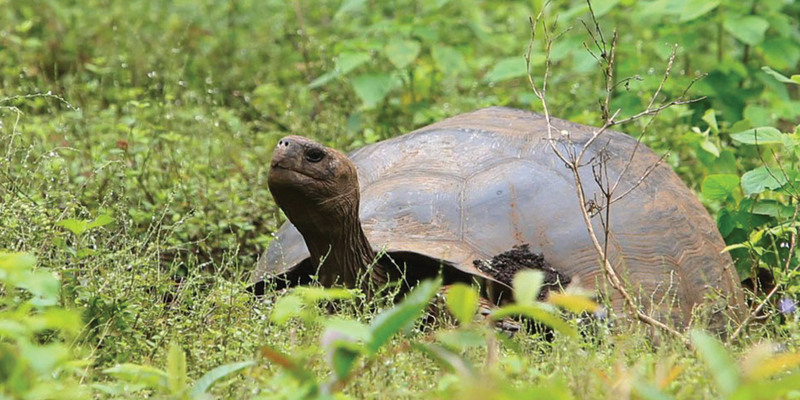 It is an honour to hike among these fascinating, gentle giants, who on average live to be over 175 years old. 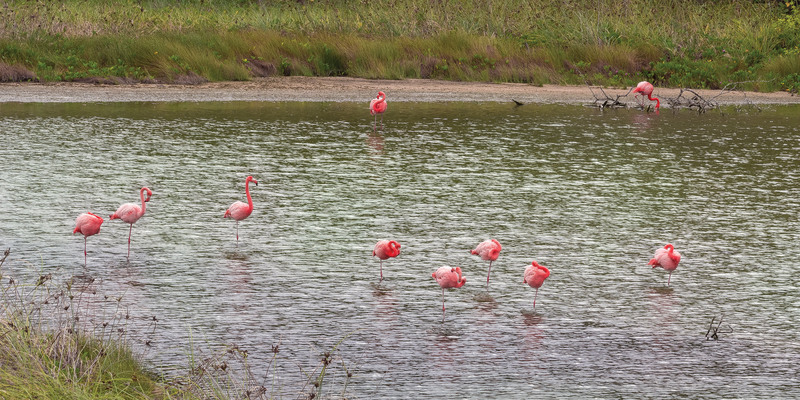 El Chato is also home to many pintail ducks, finches, frigate birds, egrets and the beautiful vermillion flycatcher. Our hike continues through some incredible lava tunnels created by flowing magma. 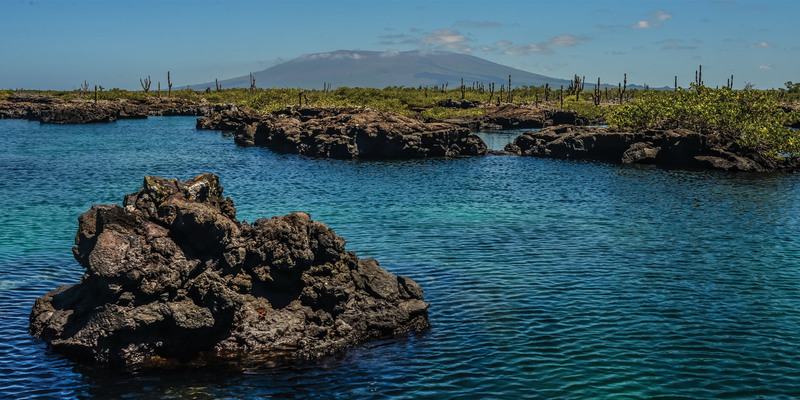 Legend has it that the buccaneers who once frequented the Galapagos used these deep caves to hide Inca gold plundered from Spanish ships! 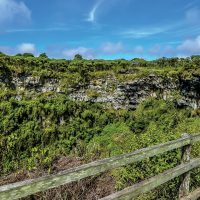 After some pirate stories from our guides we head up to Los Gemelos, a pair of deep volcanic sinkholes at the high point of Santa Cruz. 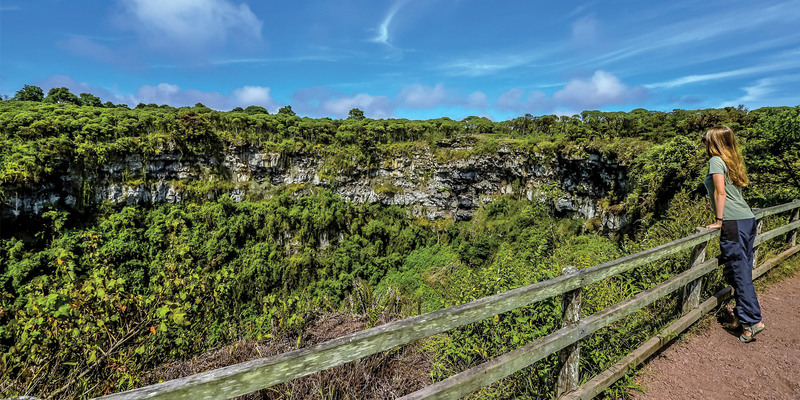 The path takes us through a forest of endemic Scalesia trees covered in ferns and epiphytes where we’ll keep a lookout for the resident short-eared owl. 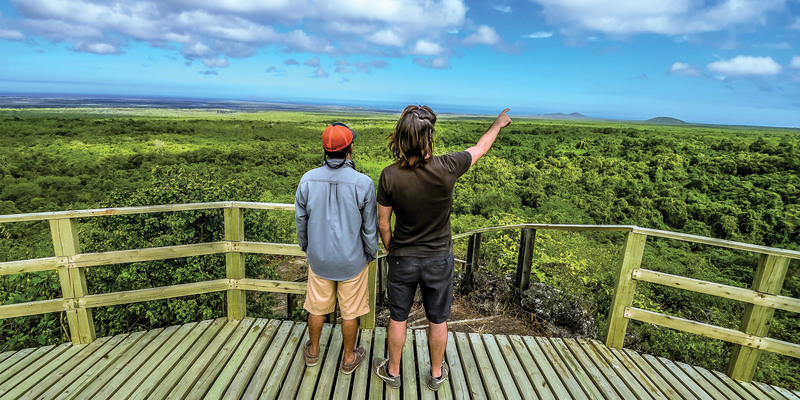 If there is enough time we may visit the Charles Darwin Research Station where local scientists rear endemic plants and animals for educational, scientific, and conservation purposes. 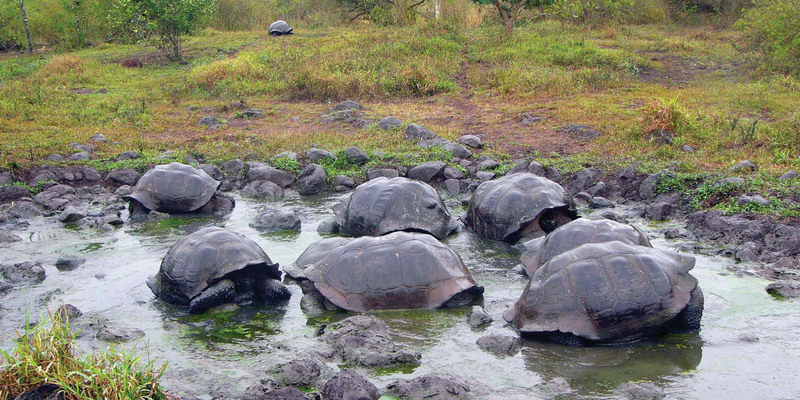 We’ll learn about the ongoing conservation efforts to protect the future of the Galapagos. 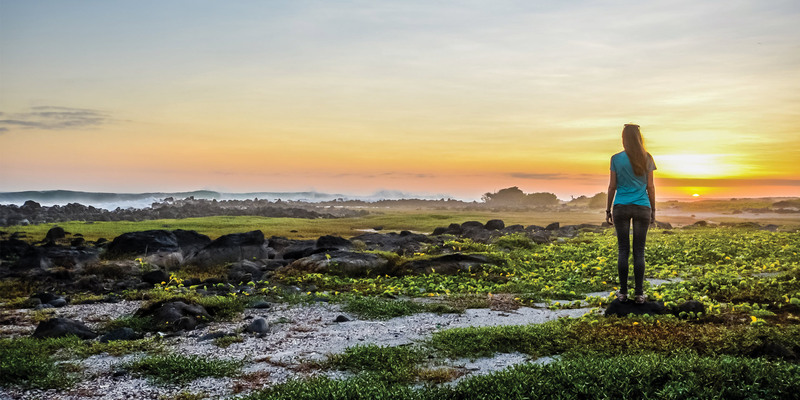 In the late afternoon, we get ready to celebrate our once-in-a-lifetime trip with a delicious farewell dinner. 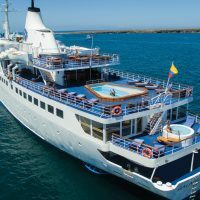 We soak up the ambiance of our last night in the Galapagos with magnificent views of the brightly-lit ships in the bay and the town beyond. Finally, it’s time bid a fond farewell as we transfer to Baltra Island for our return flight to the mainland.